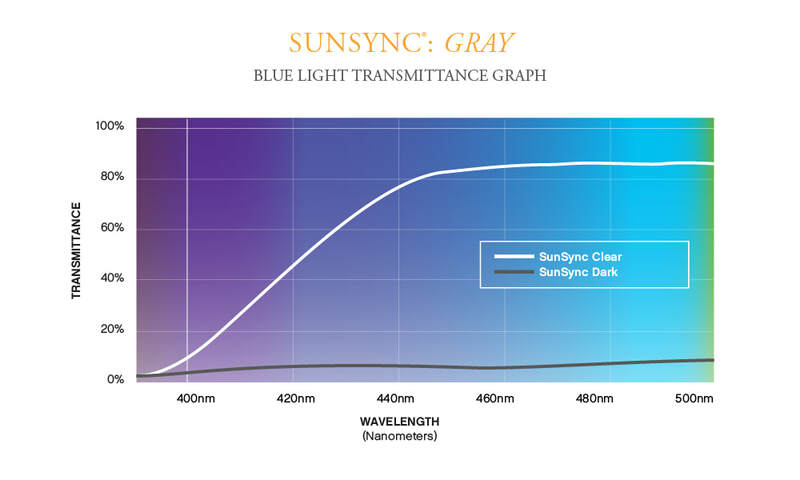 This page shows you blue light transmittance graphs for SunSync Light-Reactive Lenses. To determine the amount of blue light reduction for each product, select a wavelength along the bottom, then reference up vertically. For example, at 400nm, original SunSync lenses in a clear state provide approximately 90% filtration or 10% transmittance of blue light. HOW MUCH BLUE LIGHT DOES SUNSYNC FILTER? 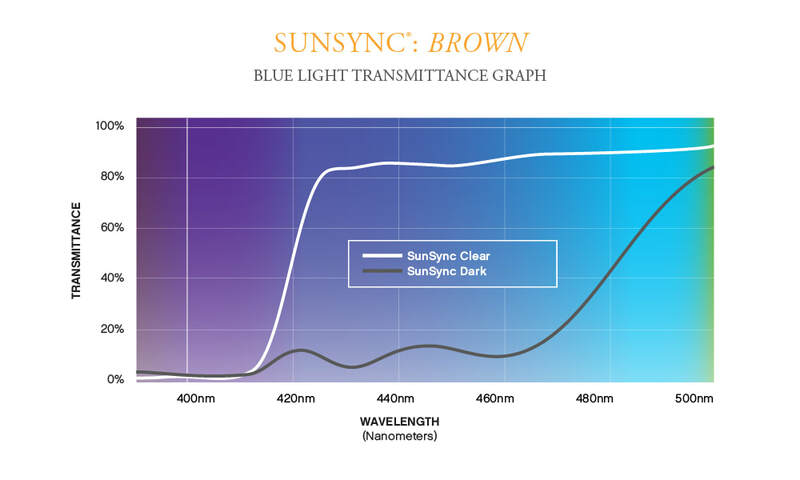 This transmittance graph shows blue light filtration for SunSync gray and brown lenses in clear and dark states . HOW MUCH BLUE LIGHT DOES SUNSYNC PLUS FILTER? This transmittance graph shows blue light filtration for SunSync Plus gray lenses in clear and dark states. HOW MUCH BLUE LIGHT DOES SUNSYNC DRIVE XT FILTER? 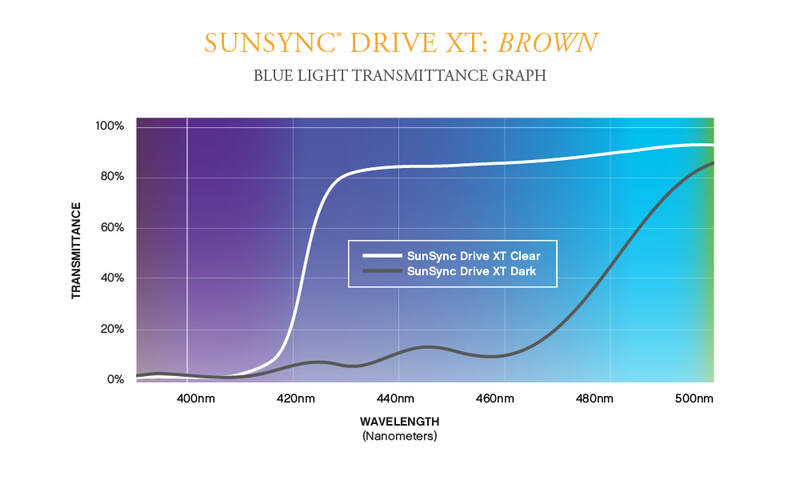 This transmittance graph shows blue light filtration for SunSync Drive XT gray and brown lenses in clear and dark states. ​This transmittance graph shows blue light filtration for SunSync Elite gray and brown lenses in clear and dark states.